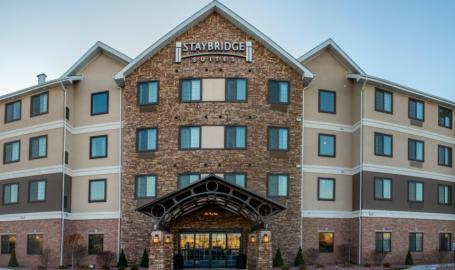 Our premier all-suite hotel is conveniently located at the intersection of Highways 30 & 41 and just minutes away from the area’s top attractions. 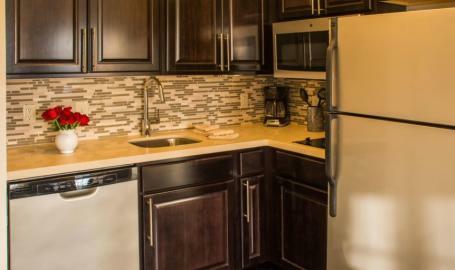 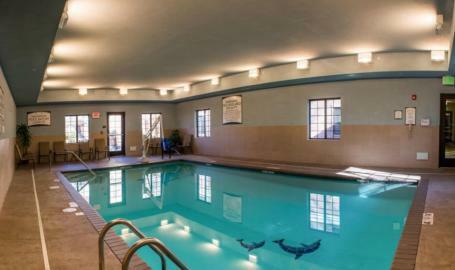 The hotel features fully equipped kitchens and your choice of studio, one-bedroom and two-bedroom suites. 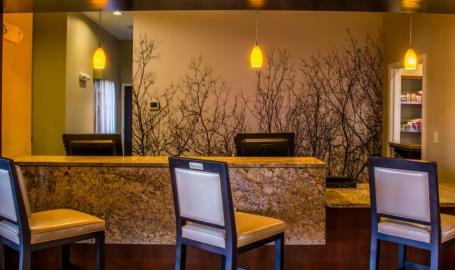 Start your busy day with a free hot breakfast each morning. 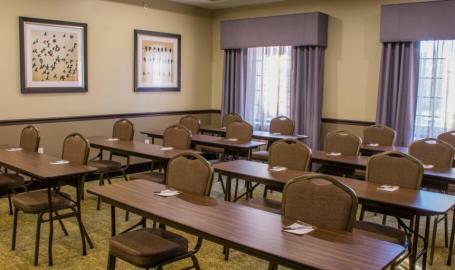 Be sure to take advantage of a complimentary mid-week evening social event, and don’t miss the theater room when you want to wind down. 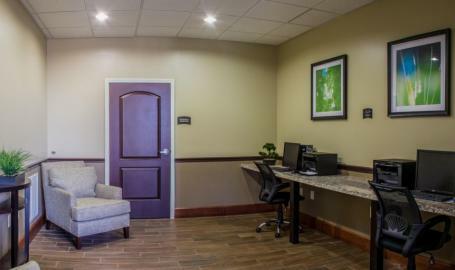 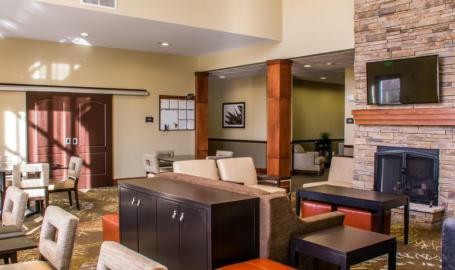 We offer a 24-hour fitness center, indoor pool, business center, theater room, backyard grill area, and complimentary laundry facilities all for your convenience. 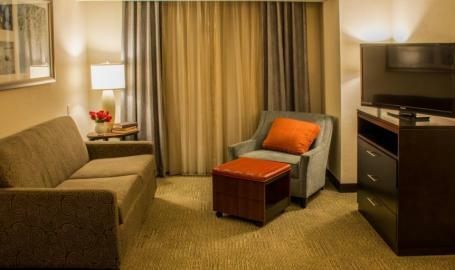 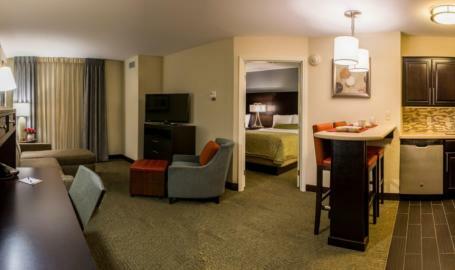 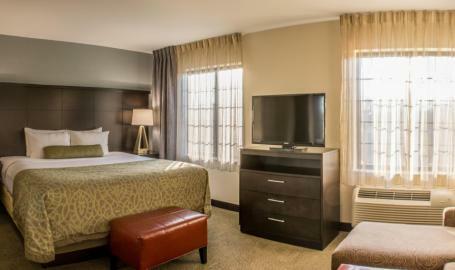 Let this all-suite hotel be your home away from home in Northwest Indiana.